This recipe is pretty easy, but you do have to use your food processor. If you happen to have a small (but lovely) condo like I do, then your food processor is stored in a completely inconvenient area so you'll have to deal with that. Ugh. (First World Problem - Hi, I don't want to get my modern-day food chopping machine out from its inconvenient storage place.) Anywho, cut up cold butter (2 sticks - it's gettin' serious now) into small cubes and mix in with the dry ingredients until it makes a dough. The recipe called for a sticky dough, but mine wasn't particularly sticky so don't worry about that. 1)A juicer - seems silly, but it's really not because it gets all the juice out of a lemon easily and makes sure no seeds fall in to your batter. Plus I got this juicer for like $5 at Marshalls. Anything for an excuse to bargain hunt at a Marshalls, ya feel me? 2) The second tool is the Microplane zester. This was on our wedding registry (ahem, 5 years ago) and it still reigns supreme in my kitchen. 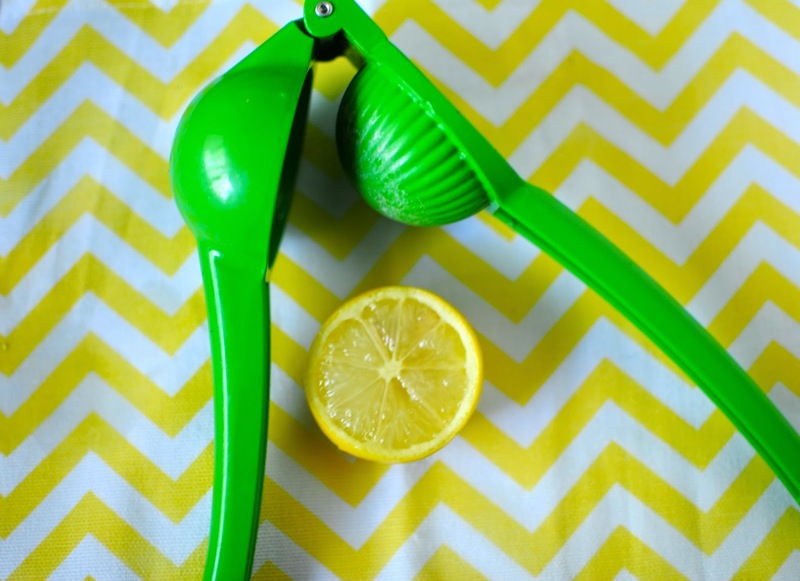 I like to zest my lemon over the microplane grater into a bowl to avoid cutting myself. The microplane blades don't play around - in other words, they are shi-zarp. Your batter will be a mild yellow color and have noticeable zest pieces in it (see below). Pour the batter on top of your crust and bake for an additional 25 minutes or until the center isn't too jiggly. (I hate that word - jiggly. Ew). Take out your deliciousness and sprinkle powdered sugar on it because at this point, why not add more sugar? 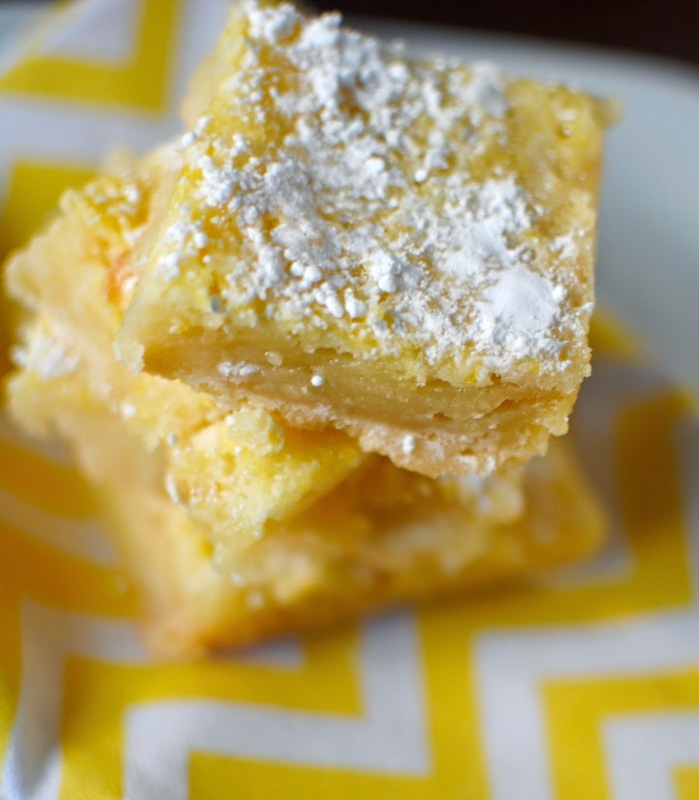 I definitely recommend putting the lemon squares in the fridge for a few hours because a) it's easier to cut cold and b) in my humble opinion, it tastes better cold. Can we talk about this buttery crust? It's as good as it looks, I promise. Preheat the oven to 350 degrees. Lightly grease 9x13x2-inch pan. Make the crust by combining flour, confectioners’ sugar, and salt in a large bowl. Cut in the butter to make a crumbly mixture. Press the mixture into the prepared pan. You may need to dip your fingers into a little flour or confectioners’ sugar to keep the dough from sticking to your fingers. Bake for 15-20 minutes. Meanwhile, to make the filling, mix the eggs, granulated sugar, flour, and lemon juice. Pour this over the baked crust and bake for 25 minutes longer. Sprinkle with confectioners’ sugar, if desired, when the bars are done. 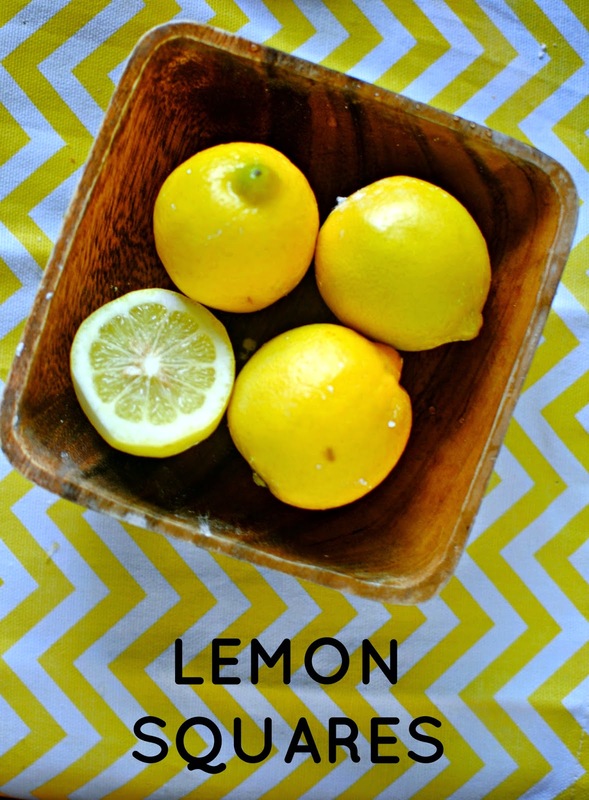 I hope you enjoy your very own lemony goodness this week! blis Gift Boutique - An Uptown Charlotte Gem! Customized Koozies, Tote Bags and More!